Using wood for a barbecue gives your meat a rich and smoky flavor. Oak wood is suitable for game, like elk or deer, fish and even red meat. 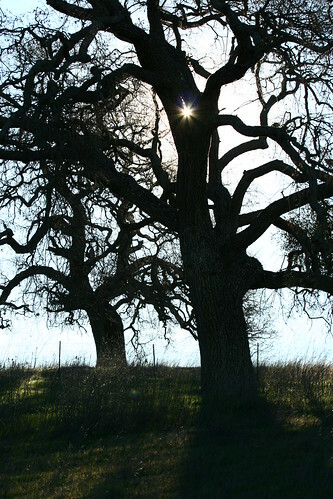 Live oak refers to oak trees that share a similar look to evergreen trees. Live oak trees are appropriate for barbecue cooking, though you must use caution and select the right type of wood. Use only dried wood for cooking. Red oak and white oak are two types of wood used for barbecue grilling and cooking. White oak burns longer than other types of oak and is best suited for dishes that require a long cooking time. Smoking meat inside a smoker is one example where white oak works well. Red oak burns faster and is better suited for foods that cook faster. Red oak is also suitable for ribs because it imparts a heavy and smoky taste to the meat. Use red oak for red meats and game. When cooking with live oak, opt for younger trees. Select trees that are two-years-old or younger, as the wood still has a light and fresh flavor. Cut the tree down along the base and leave the wood sitting out for at least five months. Chop the tree into smaller pieces after five months. Letting the wood sit out gives the wood time to dry out and cure, which makes it safer for cooking. Cut the wood into pieces that are small enough for your smoker or barbecue. Avoid using longer or larger pieces. If you use a large grill, consider mixing the wood with coals. Arrange the coals on the bottom of the grill and light it. Once the coals begin turning white, layer your live oak pieces on top. The heat and flames coming off the coals reach the oak pieces, charring the wood and spreading the fire. For longer cooking methods, soak the oak in water overnight and place the damp wood on the coals. The coals slowly dry out the wood and create smoke, which helps season your meat. 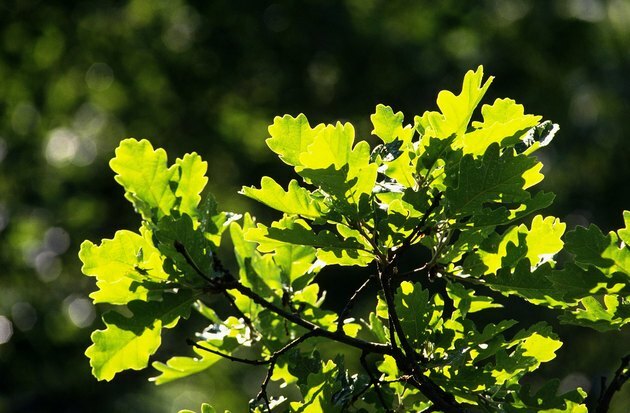 Do not use oak for barbecue cooking if the oak is still damp or fresh. Check the inside of the wood, looking for a green tinge. The green tinge indicates that the wood is too young for cooking. The oak takes longer to breakdown on the coals and increases your overall cooking time. Only use wood that is properly dried.